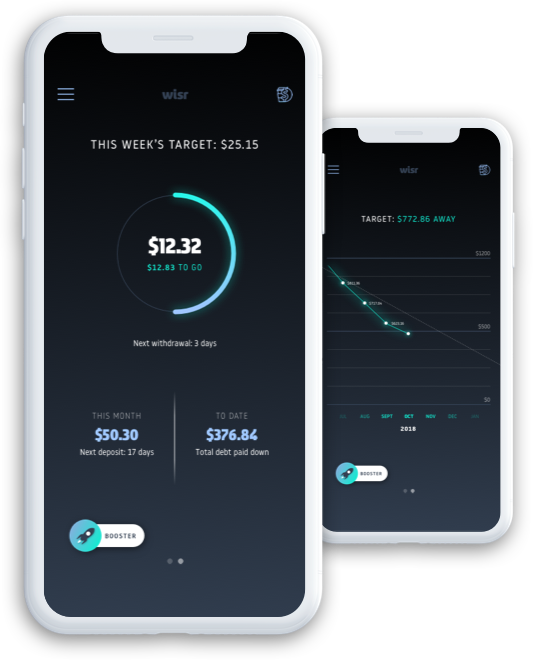 Wisr (ASX: WZR) announced more than 4,000 Australians have downloaded the new Wisr App during its testing phase, which automatically ‘rounds-up’ digital spare change to pay off debt faster. The app is the newest financial wellness product to be offered by neo-lender Wisr and is the first in Australia to ‘round-up’ spare change with a focus on credit card or mortgage debt reduction. Wisr App can be used by customers of most Australian banks. Wisr App links a user’s everyday transaction account, rounding-up purchases to the nearest dollar and automatically paying the funds off a nominated debt – including credit card debt or mortgage debt with any financial institution, or Wisr issued personal loans. Australians owe about $40 billion on credit cards and more than one-in-six people are struggling with card debt. Over one million Australians have persistent debt and 435,000 people are repeatedly re-paying only the minimum amount, representing the challenge for many Australians to make a meaningful impact on their overall debt. Wisr App has been in final testing phase through its closed beta, and is now released for iOS on the App Store in Australia. Wisr App has already reached the App Store top 10 list for finance apps (peaking at #7), as well as reaching the App Store top 200 chart on debut. Wisr App has already strongly resonated with debt-averse younger Australian adults, with more than 70% of current users aged less than 35 years old. Wisr App can automatically round-up from almost any account, from any Australian bank – as long as it’s not an overdraft or borrowed money. Wisr App tracks daily transactions and rounds them up to the nearest dollar. These micro-transactions are accumulated, and then paid onto a debt nominated by the user. The app can set short, medium and long-term debt reduction goals. Wisr App works out a weekly round-up target to track progress against this target. Users can make extra contributions up to $25 to pay down debt anytime with Wisr’s Booster feature. Biometric security, encrypted transmissions, HTTPS everywhere, and AES-256 encrypted storage are just some of the ways Wisr keep users’ data and privacy safe. Through in-app referrals, users can get up to $100 per month paid off their debt by Wisr if they share their experience with their friends ($5 per referral code used). Wisr App costs just $1.25 a month to use, only charged when a user is actively rounding-up. Users can suspend round-ups at any time and accounts not frequently being used are not charged. Currently available for iOS on the App Store with Android version in development.